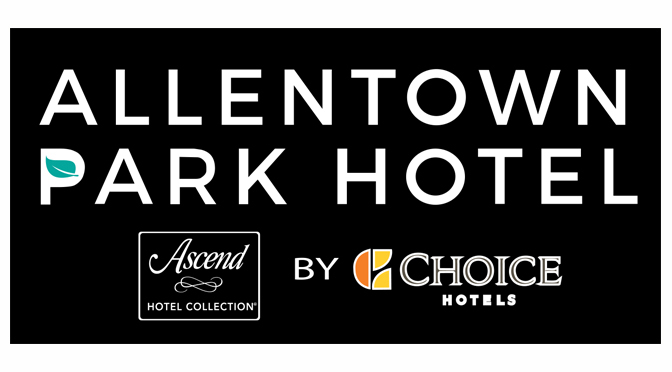 Allentown Park Hotel is located off of route 78 & 100. They offer Complementary Continental Breakfast, Indoor salt water pool, Game room, Social Zone, Bath and Body works amenities and Keurig coffee makers in all of our rooms. Linens and duvets are washed fresh for every guest. You’ll rest easy on our premium pillow-top matress with plush comforter, crisp white duvet and your choice of comfy pillows. Hot breakfast served daily – including fresh baked waﬄes and oatmeal, both with delicious toppings. Stay connected with the oﬃce, email friends and family back home, search for local attractions in-room, or enjoy free wireless internet access in the public areas. Being away doesn’t mean you can’t get to work. We have fax and photocopy equipment plus complimentary wireless access in the lobby area. Our hotel is near the junction of I-78 and Route 100, near Leigh Valley. Allentown-Bethlehem-Easton Airport: Take US-22 W and keep straight onto I-78W/ US-22 W. Exit 49A/Route 100 S and bear left on Penn Dr. and left again onto Keebler Way. Philadelphia International Airport: Take 95 S to 476 N to Exit 56 (Lehigh Valley). Take 22 W to 78W to Exit 49A (Rt 100 S). Left on Penn and left on Keebler. Want to list your local business or nonprofit on The Valley Ledger? CLICK HERE for information about getting listed.